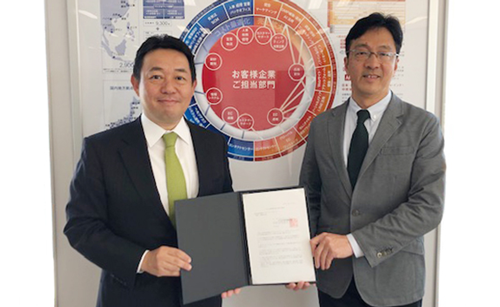 transcosmos inc. (Headquarters: Tokyo, Japan; President and COO: Masataka Okuda) is honored to announce that the company became a member of “Ikuboss Corporate Alliance” on March 18, 2019. The alliance is founded by the non-profit organization Fathering Japan (President: Takayuki Kawashima) with the aim to develop “Ikuboss,” or bosses who value work-life balance and care about families and their communities. With the belief that it is “people” that enables transcosmos to constantly create additional values in order to propel its business growth and globalization, and ultimately become clients’ “Global Digital Transformation Partner,” transcosmos continues to execute initiatives to raise employees’ awareness of work-life balance and create a workplace where each and every employee can unleash their full potential whilst finding their work rewarding. Now being a member of the association, transcosmos will energize the organization through driving its efforts to raise awareness and change the behavior of all employees toward work-life balance. Led by bosses who play a critical role in creating an organization, each and every employee reconsiders their awareness of workstyle and revisits their behavior to achieve work-life balance with the aim to create a “rewarding” workplace where they can perform to their full potential. “A boss who creates a rewarding workplace by supporting his or her members and has the ability to make a change.” A boss who achieves results through creating a challenging and “rewarding” workplace where all members can perform to their full potential, whilst living a fulfilling life by striking a good balance between work and life. Aiming to achieve both “personal fulfillment” and “organizational results,” each and every employee will innovate both their workstyle and lifestyle through improving themselves and gaining energy in their personal life whilst focusing on improving productivity at work. Build a corporate culture and schemes that let each and every employee perform to their full potential and play an active role. Achieve results through creating a challenging and “rewarding” workplace where each member can perform to their full potential, and make all members make the most of both their work life and social life. Make the most of both their work life and social life whilst understanding other members’ initiatives and working together. A network of companies that aims to develop ideal next generation of bosses (Ikuboss, or to develop such bosses) by recognizing the need for “Ikuboss,” and transforming the management’s awareness of work-life balance (Source: Fathering Japan). *Other company names and product or services names used here are trademarks or registered trademarks of respective companies.